To configure menu links to open in a new tab when click on, navigate to your website’s dashboard, and in the sidebar, click on “Appearance” and then “Menu“. The link target option is disabled by default, to enable it, click on the “Screen Options” tab in the top right and check the “Link Target” check box. Now that the option is enabled, to configure your website’s menu links to open in a new tab, scroll down to the menu link you want to open in a new tab. 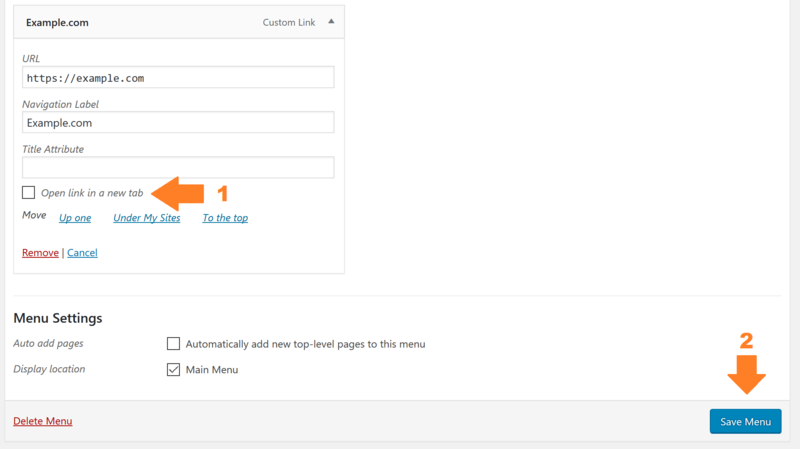 There will now be a check box labeled “Open link in a new tab“, check that box and the menu link will open in a new tab.